If you’re looking to get your iPhone or iPad stolen, all you have to do is wave it around on a New York subway. The theft of these high-cost mobile devices has skyrocketed in the Big Apple, and now the NYPD are responding with a new special task force. Yes, there is now a team of NYC police that specifically track down stolen iDevices. Lost your Android phone? Keep walking. When a phone is reported stolen, the police will ask the victim for the device’s International Mobile Station Equipment Identity (IMEI) in the case of iPhones and 3G/4G iPads. This data is then passed along to Apple, which can report to the police the exact location of the device — even if it has been moved to a different carrier. The police will then actually go and find the missing phone or tablet. Tracking WiFi-only iPads is considerable more difficult because they do not have GPS or an IMEI number tracked by carriers. Still, it’s interesting to see the police taking such an interest in recovering stolen gadgets. According to the cops, this new initiative is not just about returning stolen devices to their owners, but to learn about the patterns of theft in New York. Often tracking down a single stolen device leads to much more stolen property. Google rolled out an update to its Google+ iPhone app Wednesday — and the revamped, redesigned app looks so stunning, you may begin wishing the social network itself wasn’t such a ghost town. Instead of a shrunken-down version of the Google+ website, the app now has an identity of its own, and it’s about time. 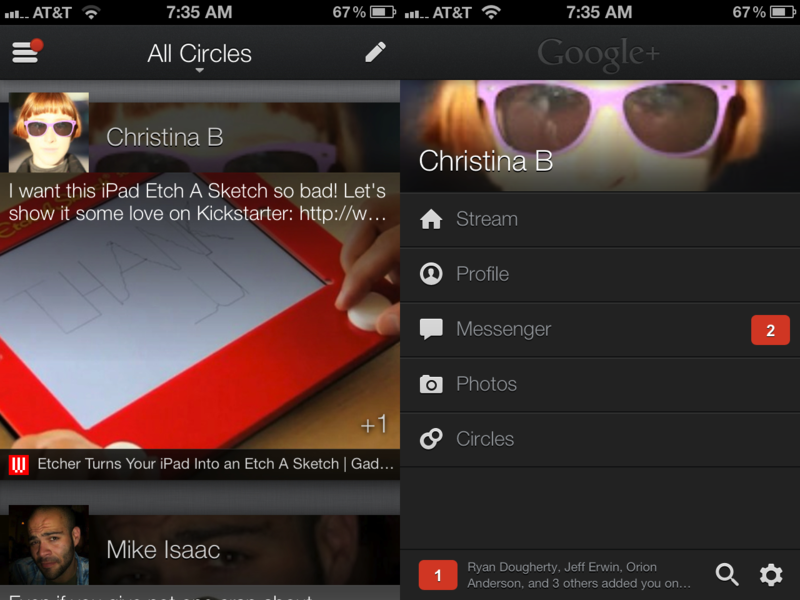 Google refreshed the web interface of Google+ with a focus on the “widgetization of social” in April. But rather than taking this approach in the mobile space, the iOS app focuses on sleek, elegant design and usability. Google did not update the Android version of the app — it’ll get its turn in a few weeks and will include a few “extra surprises,” according to Google. After logging into your account, the app brings you to your Stream, which is now dominated by grays, gradients, and large iPhone-wide graphics. Your posting text, laid on top of the upper portion of its corresponding image, is cut off after two lines. This keeps your focus on imagery, but you can click into a post for its full text, associated comments, and any link that may be attached. Adding a post to Google+ is very straightforward. At the bottom of each photo on your Google+ Stream, you can easily tap to +1 a post, or add a comment to it. 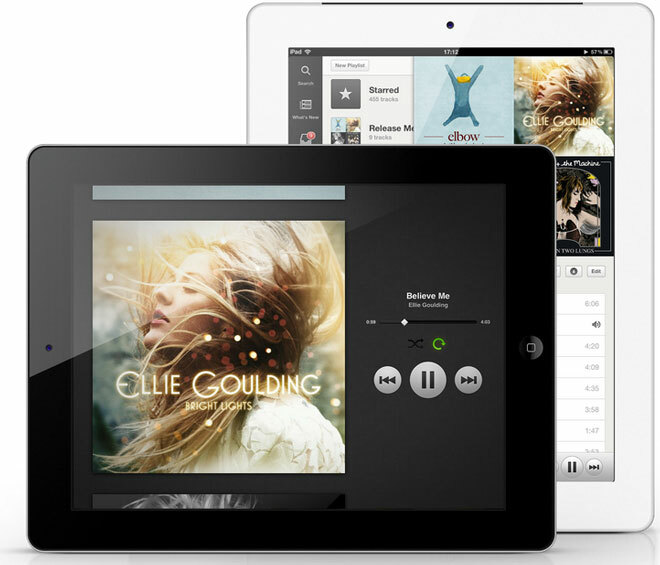 Smart features make Spotify’s new iPad app a great way to explore music. When we finally saw Spotify’s new iPad app in the company’s New York City offices this week, we breathed a sigh of relief on behalf of all the breathless Spotify fans who have been demanding its release. A web search for “iPad Spotify app” on the eve of the announcement revealed millions of matches, including at least one for a Facebook group dedicated to pressuring Spotify into releasing a native iPad app. Some even called for a boycott of the service, making it clear that this relatively young company, whose goal is to become “the OS of music,” is already inspiring Apple-like adoration — and the accompanying petulant demands — from the public at large.